Hurray!! 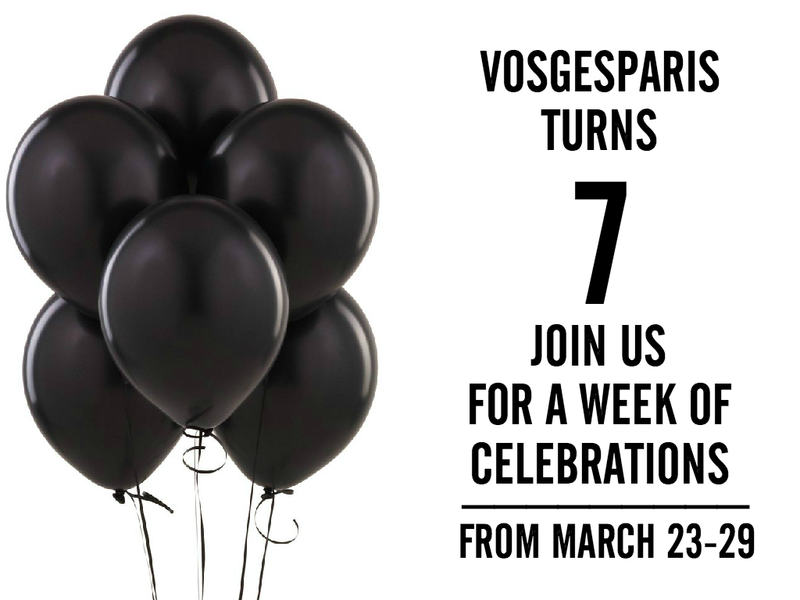 it is my Blog's birthday next week.... Vosgesparis will be turning 7, I loved every minute of it and I can't wait to celebrate with you guys as a big thank you for staying with me over the past 7 years! Stay tuned for a week full of amazing giveaways from my all time favourite brands... starting this Monday March 23! After this week I will be back with the usual inspiration and coverings from my recent Design travels to London, Iceland and more.